Your life insurance policy can make you eligible for a home loan, and also protect your loan liability. Here's how the right kind of insurance policy can work for your family and in your favour. Picture this - you have taken a life insurance policy to ensure your family gets a substantial amount to sustain itself when you are gone. You have also taken a home loan to make a house for your family, but have not repaid the full amount before you bid goodbye to the world. In both these scenarios, your family will have your money, but no home. Here's why: When you took a life insurance policy, the first thing on your mind was your family and a secure life for them. And, when you took a home loan, you first factored in the repayment plan. What you overlooked was the fact that in the unfortunate eventuality of your loss, your home loan would still be unpaid and your family could lose the roof over their head to the lending bank or financial company. To avoid such a catastrophe, it is prudent to take an insurance cover for your home loan liability. Here's what an insurance expert advises. "There are different loan insurance plans that include reducing balance cover, full loan amount cover, critical disease cover, permanent disability, etc. 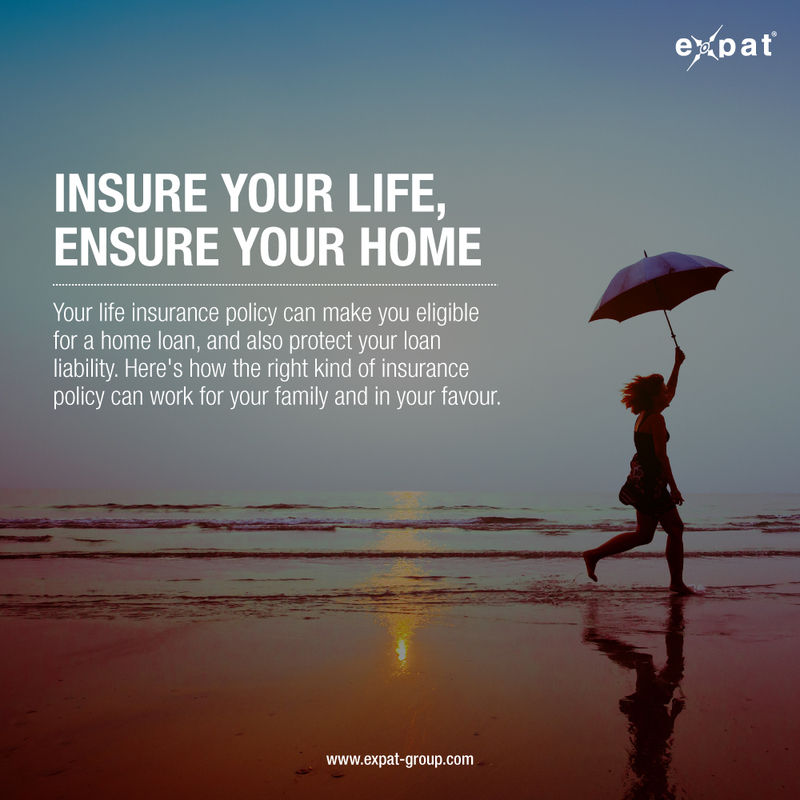 The premium amount differs with each policy offering," explains insurance advisor Nagesh Sharma, founder, Vertex Group. "You must go through the details of various products and benefits of insurance companies, and compare the premium and risk coverage and then choose the one that suits you the best," he cautions. Various life insurance policy types come with their own benefits. The term life insurance cover is the preferred one in this category. 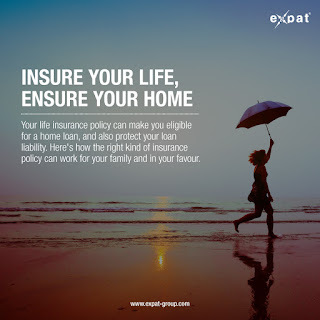 A term life insurance policy is a basic yet cheaper type of life insurance instrument that gives immense financial protection, especially if you are a home loan borrower. This is the preferred option because it is easier on the pocket and you can choose the life cover depending on your family's needs and the different stages of your life. Opting for a term insurance plan that includes a critical illness health insurance policy, can work in your favour. In this insurance plan - if you are insured - in the eventuality of your suffering from a prolonged illness like cancer, you get a lump sum amount equal to the sum insured. You can then use this money towards your E M I repayment so it does not affect your home loan liability. The home loan protection plan is an insurance policy issued by an insurance company and not by a bank or finance company. Unlike the term life insurance plan, a home protection plan is not available as a customised option. While a home loan protection plan can be taken separately from an insurance company - both, life and general insurance companies offer this - it is usually packaged by the bank along with a home loan. In fact, you are not eligible for a home loan protection plan without taking a home loan. In the event of your demise during the home loan tenure, your insurance company will settle your loan with the lending bank under this protection policy. Life Insurance policies above certain duration - usually after three years of commencement - can qualify for being given as collateral for seeking a loan. Most insurance companies have a predefined process whereby they can offer this facility. The lending institution would get the life insurance policy assigned to itself, which means the benefits of the policy would accrue to the lending institution till the time the borrower has not cleared the debt. Depending from insurer to insurer, an interest is charged for the loan given. Repayment can be provided, and prepayment and foreclosure options are also provided. As a caution, one has to remember to repay the loan on time, else the benefits accrued on the policy would go to the lending institution, and in case of any exigency, the family would receive benefits only post clearance of the loan and accumulated interest and penalties.